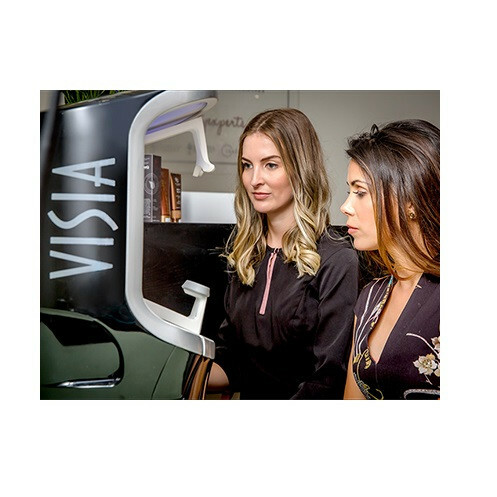 The Visia Skin Analysis is a photographic imaging system specially designed to help professional aestheticians objectively determine the state of your skin to help guide them in finding the best skin care regimen and skin care products to address your unique skin needs. The Visia Skin Analysis technology measures surface and sub-surface skin conditions, therefore revealing the extent of sun damage, wrinkle development, pore texture, pigmentation problems and UV spots. I had this done in June 2018 because I have some concern about pigmentation, in the consultation my doctor said it is a must to use the Visia Skin Analysis, so that we can determine the correct products for my skin, your face fits in the space very easily and its just a light moving around and the computer does the different steps for you, quite interesting to see how deep my pigmentations was, definitely something I suggest everyone does at least once.